Blue carbon projects and programs can be financed through a variety of mechanisms (e.g., see ref ). They can be supported by funds linked to both climate change and biodiversity-related finance mechanisms, such as through the United Nations Framework Convention on Climate Change (UNFCCC), Convention for Biological Diversity (CBD), or Ramsar. Under the UNFCCC, blue carbon mitigation and adaptation activities can be financed through these climate-related funds: the Global Environment Facility Trust Fund and its Focal Areas, the Special Climate Change Fund, and the Least Developed Countries Fund. The Green Climate Fund and the Adaptation Fund are other options to finance blue carbon projects. Additionally, blue carbon projects may be financed through climate change funds from development banks (e.g., African and Asian Development Banks, the Inter-American Development Bank, and the BioCarbon Fund as part of the Carbon Finance Unit of the World Bank). The combination of biodiversity and carbon funds can leverage additional resources for activities with a win/win situation for biodiversity as well as climate change mitigation and adaptation. Carbon markets provide an important funding stream to support the conservation and restoration of blue carbon ecosystems. Carbon markets are based on the idea that stored carbon can be quantified and sold as credits that the buyer uses to offset emissions (i.e., emissions trading). Carbon credits are verified and then sold on the compliance market or voluntary market. Voluntary carbon markets enable businesses, governments, NGOs, and individuals to offset their emissions by purchasing voluntary emissions reductions and in some cases, also deliver social, economic and biodiversity co-benefits. In other words, businesses may receive certified carbon credits to manage their emissions in exchange for investing in protecting/restoring blue carbon ecosystems. Relevant mechanisms include Reducing Emissions through Decreased Deforestation (REDD+) and National Appropriate Mitigation Actions (NAMAs) for developing countries to access international carbon mitigation financing streams and to implement national programs and policies. 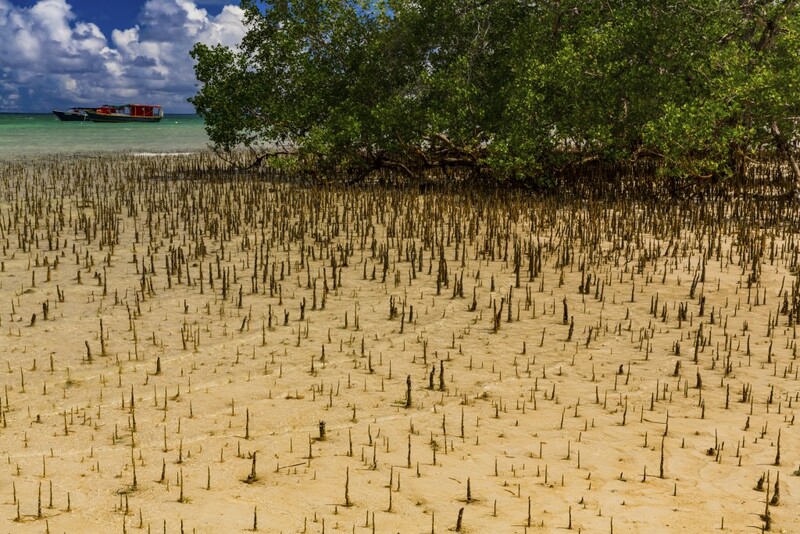 Clean Development Mechanisms (CDMs) and voluntary carbon markets can be used at local scales to support climate mitigation actions including the conservation of blue carbon ecosystems. 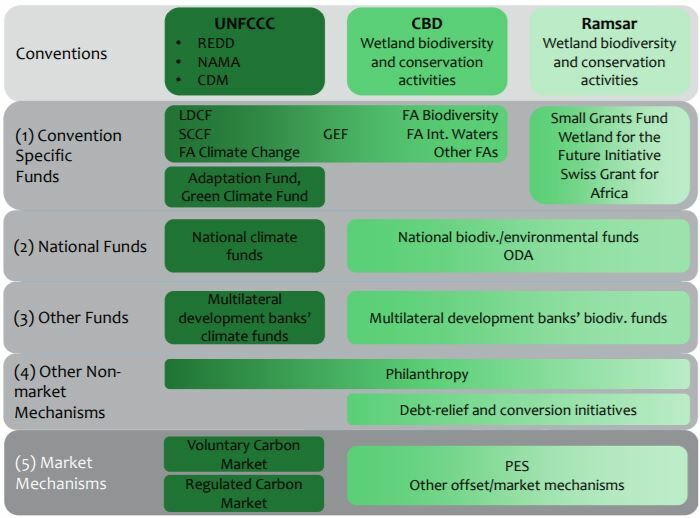 However, carbon finance alone may be insufficient to support the protection of blue carbon ecosystems, thus it is important to explore a range of financing options that complement carbon activities with non-carbon-based financing sources (e.g., debt-for-nature swaps and ref).